Learners can continue to acquire knowledge and build skills from thirty-thousand feet in the air. 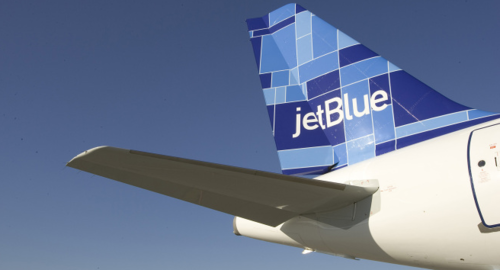 With the busiest travel season right around the corner, JetBlue announced a new set of content providers for their new onboard in-flight entertainment, Fly-FI Hub. Among the options for travelers to select from is Coursera. Coursera will host 10 e-learning videos that include courses such as Introduction to Marketing from The Wharton School, also giving learners the ability to browse from a list of respected institutions like University of Edinburgh and Berklee School of Music. JetBlue’s new Fly-Fi Hub will be accessible to customers on any personal device on all aircraft by the end of 2014. So sit back, grab a snack and get ready to learn on your next JetBlue flight with Coursera.